Most of us watch peregrine falcons that nest in cities because that’s where most of us humans spend our time. Inevitably, this leads us to believe that peregrines are city birds that want to be near people, but this isn’t so. What nesting peregrines really want is an inaccessible cliff. There aren’t many peregrine cliffs in Pennsylvania and none of them are in the western part of the state. 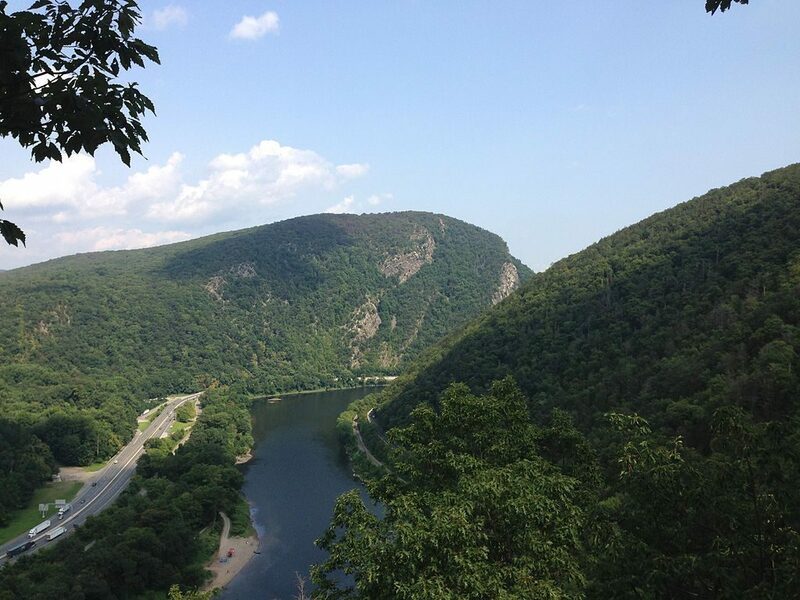 All of Pennsylvania’s natural nest sites are steep river cliffs like this one at the Delaware Water Gap. However, we sometimes create cliffs that are acceptable to peregrines though they look like holes to us. Here’s a rocky cliff that peregrines might use if people weren’t actively digging it. 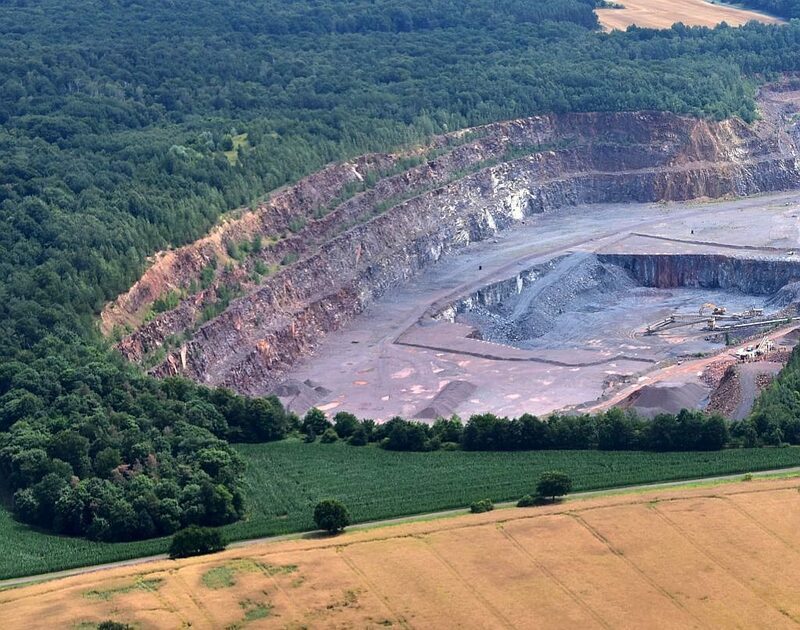 It’s a quartz-porphyry quarry in Germany. 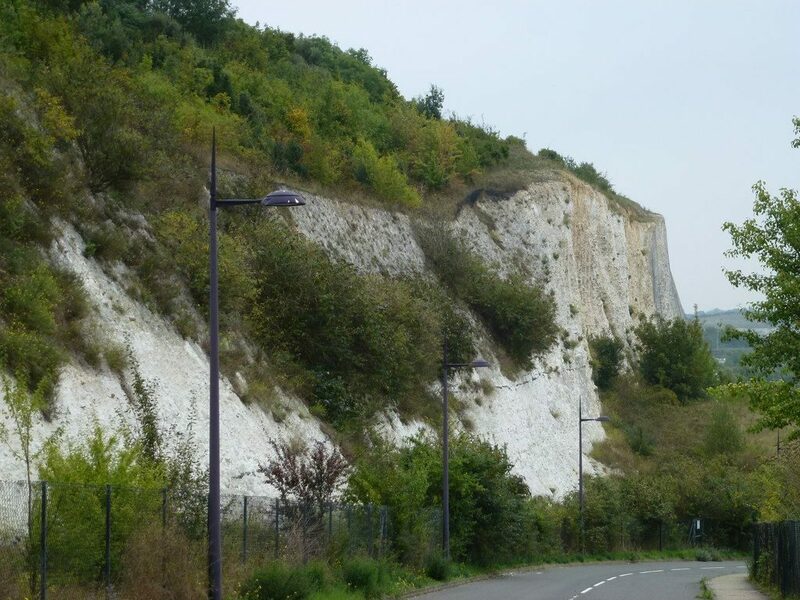 Among the many abandoned quarries in the U.K., this old chalk quarry at Greenhithe, Kent looked good to peregrines and they claimed it as their own. 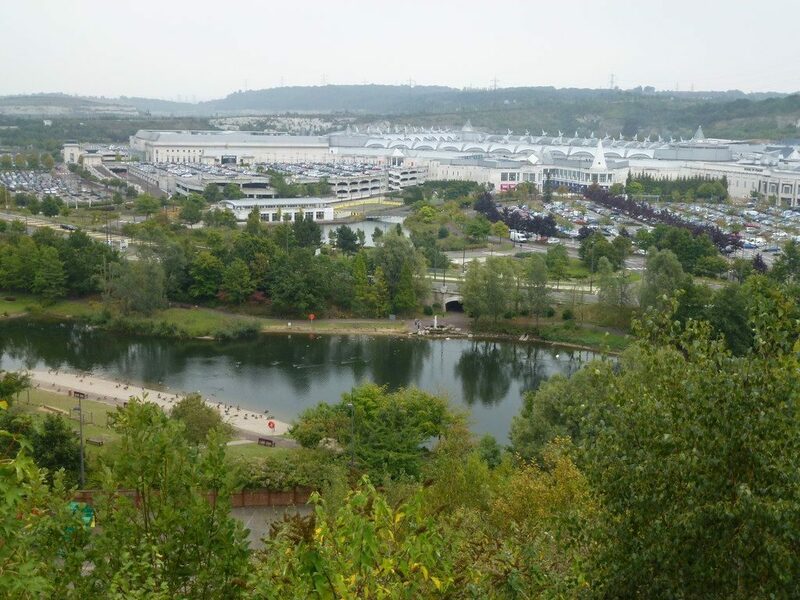 It also looked good to developers who built Bluewater Shopping Centre below the cliffs. The peregrines don’t mind the mall and the mall’s amenities make it a great place to watch peregrines, as seen in this BBC video from 2013. For peregrine falcons, an old quarry is an acceptable cliff. p.s. 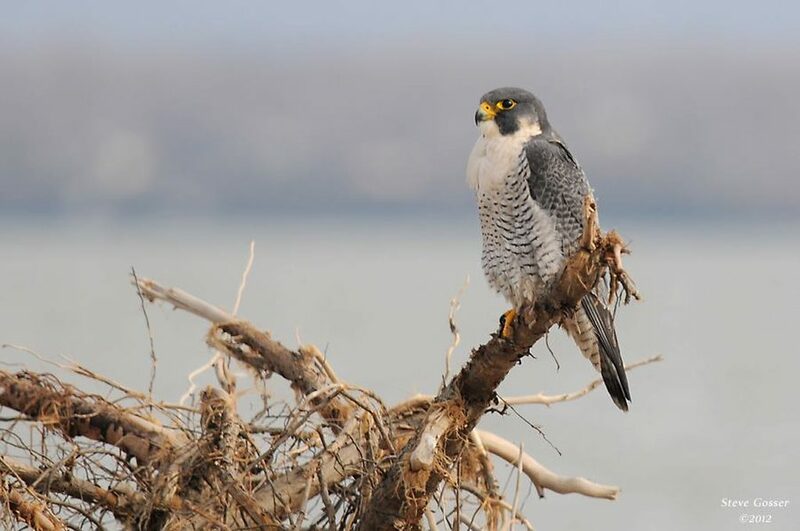 In 2018 two of Pennsylvania’s 54 peregrine nests were located in quarries, both in the eastern part of the state.